Jeanne has been serving with Ambassador Advisors for over fifteen years, and says she has no thought of retiring. Jeanne spent many years working in public accounting, and before that, she was a proofreader. This background helps her to give particular attention to detail, especially with our client records. Jeanne enjoys reading Christian fiction, biographies, and Bible-related materials. She also loves listening to classical music. She attends sacred and classical concerts, especially with organ and orchestra. Her daughter Amy and family are serving as translators in Papua New Guinea with Wycliffe Bible Translators. Every August, Jeanne takes a week of vacation to attend the outdoor tabernacle meetings at Central Manor Camp. She benefits from the Bible teaching and delights in renewing friendships made over the years. 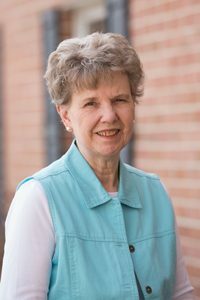 A graduate of Moody Bible Institute and an employee there for over five years, Jeanne lived in Chicago from the 1960s until 1980, when she moved back to her birthplace of Lancaster, PA.